Thanksgiving is a wonderful holiday that allows us to pause with gratitude before the busy Christmas season begins. I love that it’s centered around spending time with loved ones without any expectation of gifts, just quality time. I tend to dress up for the occasion even when others don’t. I wouldn’t say my Thanksgivings are super casual nor are they formal, so the outfits here are appropriate unless your family gets really dressed up for Thanksgiving dinner. You’ll see from the outfits below that I like to follow a certain formula that makes picking out an outfit for Thanksgiving a breeze. Most years I wear some sort of combo of an autumnal pattern – such as plaid, tweed, houndstooth – either as my top or bottom and then keep the rest of my outfit more solid with some texture. 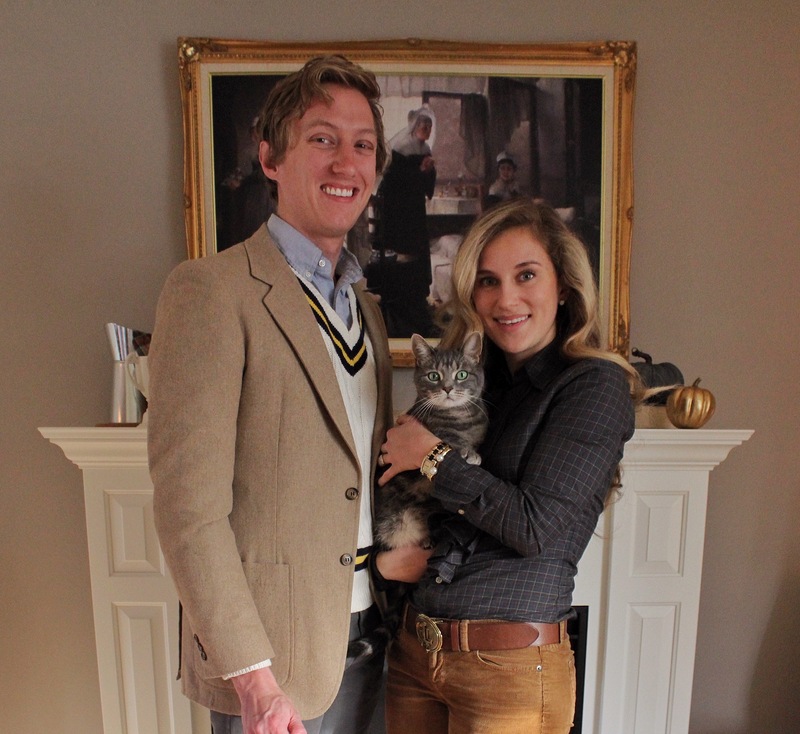 You’ll notice I love to layer a sweater over a shirt and pair it with a skirt – my foolproof Thanksgiving go-to outfit. Sometimes I’ll wear a nicer pair of pants with a ruffle plaid top tucked into it and a nicer belt, but I think a skirt looks so nice. 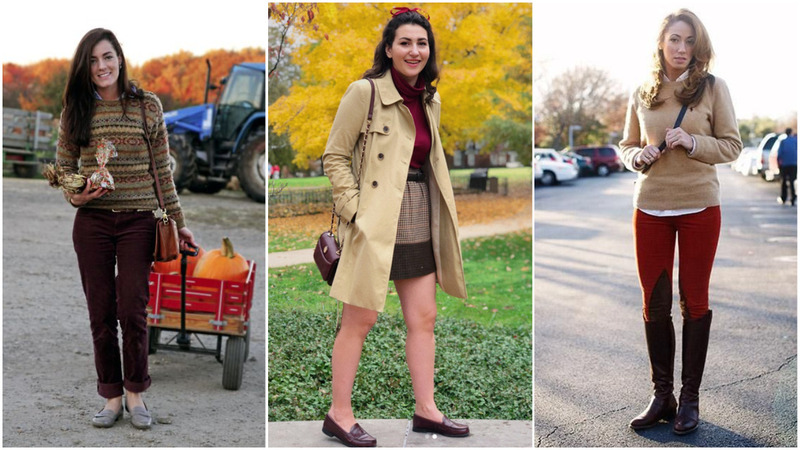 I recommend the wool Sidewalk Skirt from J Crew Factory (seen on my photo on the far left) because they come in so many great fall colors as well as plaids perfect for Thanksgiving. 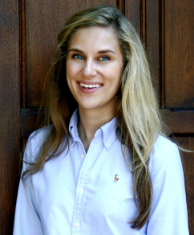 (Seriously, check out navy multi plaid and brillian pewter plaid). Plus they have an elastic waist so you’ll feel comfortable even when you indulge a little bit. 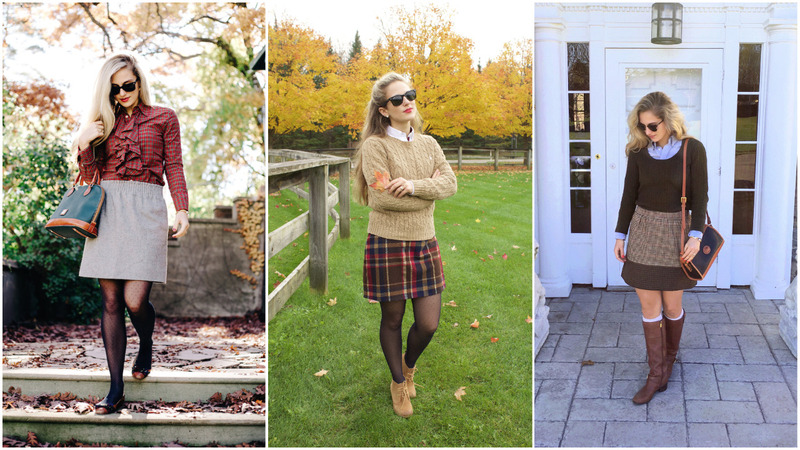 I love these three examples of Thanksgiving outfits because they include great layering and color palette perfect for the season. I appreciate when people work the deeper tones of autumn into their outfit instead of only black and gray. Life is too short to dress boring, and one can look both elegant and interesting for the occasion so easily.